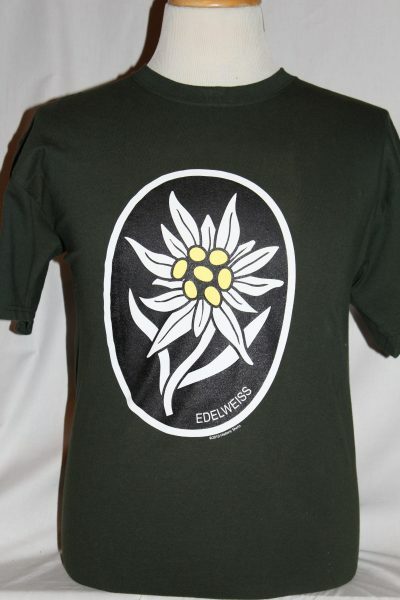 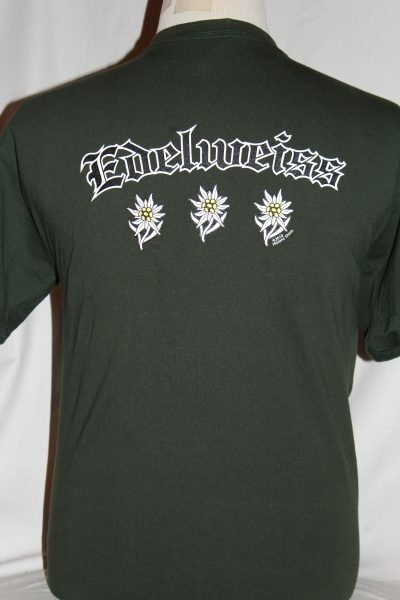 The Edelweiss Flower T-shirt is a two sided print in Forest Green. 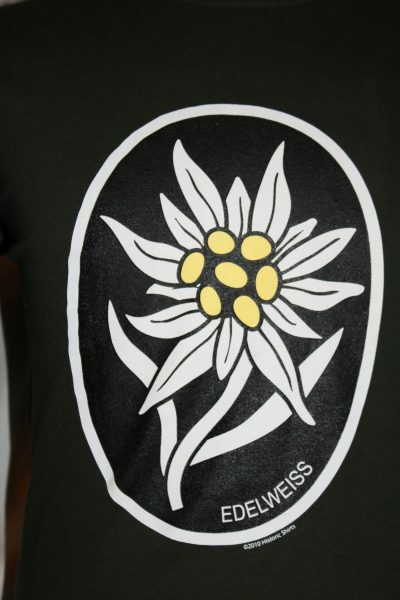 Front Design: Full Edelweiss flower design on front. 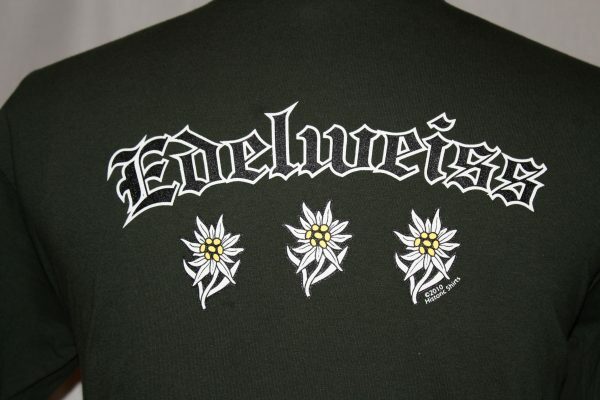 Back Design: Three small Edelweiss flower's across the back and Edelweiss text. The Edelweiss insignia was used German Mountain troops.